Valentine's Day No Prep Articulation Packet - FREE for the weekend! I'm always struggling to make drill exciting, which is why I'm obsessed with the erasable pockets I purchased from Lakeshore Learning in the beginning of the year. I'm sure you've seen them all over the slpeep blogs, but if you haven't click here to check them out (and click here to see how I used Crazy Speech World's winter freebie worksheets with them)! 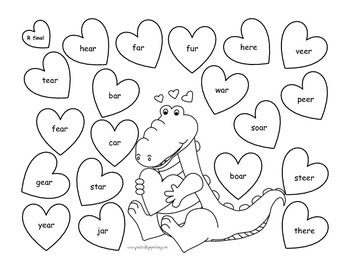 I created these Valentine's worksheets to target /l/ and /r/ in all positions of words. The kiddos are liking them so far, and I can bring them up or take them down by putting them into phrases, sentences, etc. Click HERE to download this packet from TpT!